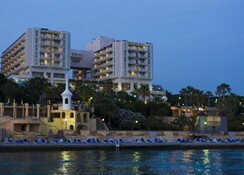 The Fantasia Hotel De Luxe Kusadasi is a luxury, upscale seafront hotel in Kusadasi, Turkey. 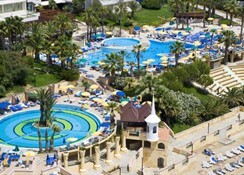 It has two outdoor swimming pools, for both adults and children. 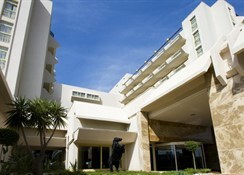 The hotel accommodates an upscale spa and wellness centre on its premises. In terms of food and drinks, the hotel has three restaurants, a snack bar and four bars, offering gastronomical delights along breath-taking views of the sea. The hotel has 335 soundproofed, lavishly-decorated guestrooms and suites. The hotel’s convenient location, proximity to the beach and the city of Kusadasi makes it an ideal destination for vacationers looking for a memorable beach holiday in Turkey. The nearest beach is just 500m away and can be covered on foot within 10 minutes. The Fantasia Hotel De Luxe Kusadasi is located 71.6km away from the Izmir International Airport and 119km away from the Bodrum Airport. The nearest beach is 500m away from the hotel complex. The town-centre of Kusadasi is 6.7km away from the property. The renowned ancient wonder of the world, Temple of Artemis, is located 25.2km from the property. Local landmarks and tourist attractions like Aqua Fantasy Aquapark, Aqua Adaland Park, Church of Mary, Ephesus Ruins, Temple of Hadrian, Great Theatre of Ephesus, Library of Celsus, Mother Mary House, House of Virgin Mary, Ephesus Museum, Kusadasi Marina and Cave of the Seven Sleepers, among others are easily accessible from the hotel. Guestrooms and suites of the Fantasia Hotel De Luxe Kusadasi feature lavish, modern and contemporary décor and architecture, providing guests a lavish stay they deserve. The rooms are categorised into five types based on amenities, space, view and number of occupants – senior suite, junior suite, corner room, triple room and standard room. The guestrooms come equipped with facilities and amenities such as central air-conditioning, safety deposit box, satellite TV, music broadcast, Wi-Fi, fire alarm, mini-bar, bed linen, bath linen, essential toiletries, etc. The Fantasia Hotel De Luxe Kusadasi has three restaurants, one snack bar and four bars serving a wide range of gastronomical delicacies from cuisines around the world, along with alcoholic and non-alcoholic beverages. Nostalgia Restaurant, Prelude Restaurant, Ala Turka Restaurant, Allegro Snack Restaurant, Ballade Bar, Blues Bar, Bolero Bar and Hula Beach Bar are the outlets available at the hotel. 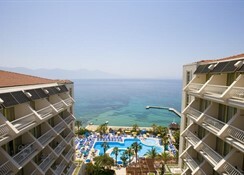 Guests can also explore restaurant and bars at the local beach and Kusadasi town. 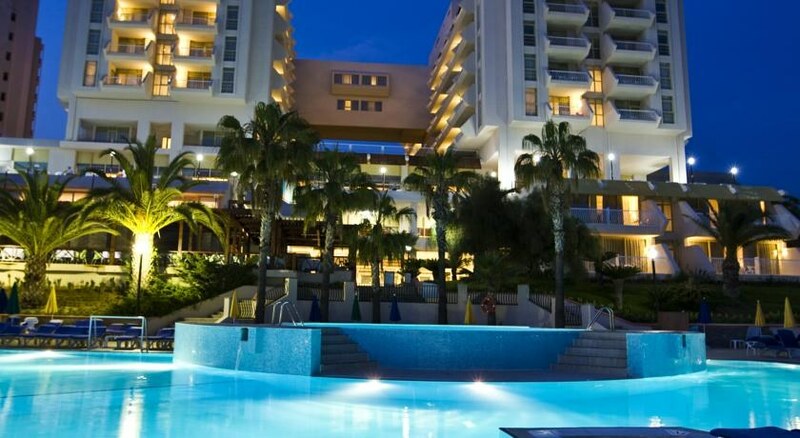 The Fantasia Hotel De Luxe Kusadasi has two large swimming pools for both adults and children. The pools are lined with lounge chairs and sun umbrellas, allowing guests to relax and unwind without a worry. This serves as a great spot for recreational activities especially pool games. Guests can also relish refreshing drinks by the poolside bar. Sunbathing session at the beach-themed seafront patio, lined by lounge chairs and sun umbrellas, is another pleasurable must-do activity at the hotel. Pamper yourselves by indulging in massages and therapies obtainable at the onsite spa and wellness centre. Hotel staff regularly organises entertainment shows in the evening meant exclusively for their guests. 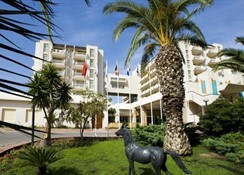 Apart from that, the hotel has a playground and a game room on its premises for children. The hotel was lovely, good location for transport pick ups and drop offs but if you can't manage stairs this may be tricky for you as there is quite a few stairs to get to the beach. 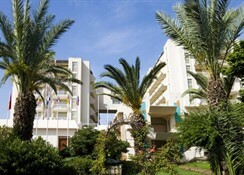 The staff are ever so helpful and friendly and the spa and fitness facilities were good. Hotel Fantasya Deluxe is a good Hotel for family,good food ,all the staff were very polite and approachable,The Best Entertainment team,the rooms are clean and spacious,good customer services.